Saturday was the beginning of Field Day, the annual demonstration of emergency readiness of Radio Amatuers. 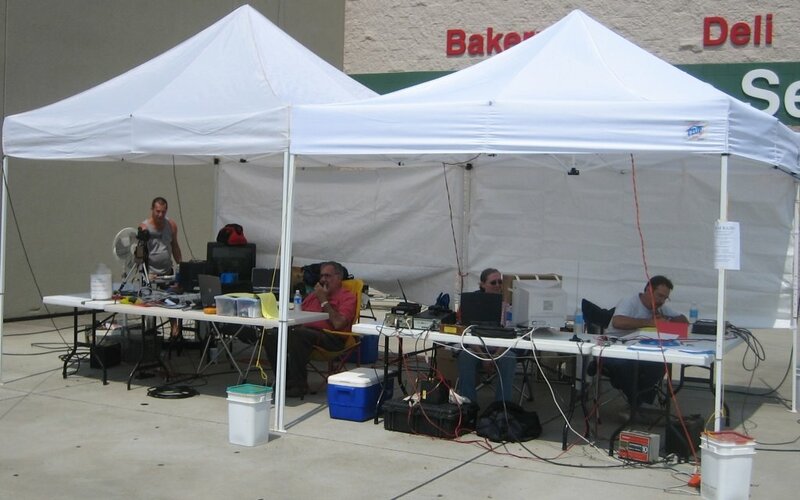 The 'Hams' here in front of Walmart are members of the Coosa Valley Ham Radio Association. They are using some of the newest digital radios available. They will be operating for up to 24 hours and logging there contacts with other operators.